We dedicate time to figuring out which foods best suit our digestion and which skin-care products make us glow—but have you stopped to think how your hair is reacting to your hair-care routine beyond lather, rinse, repeat? Add in concern over whether your hair is as full and voluminous as it could be, and a reevaluation of your routine could be in order. 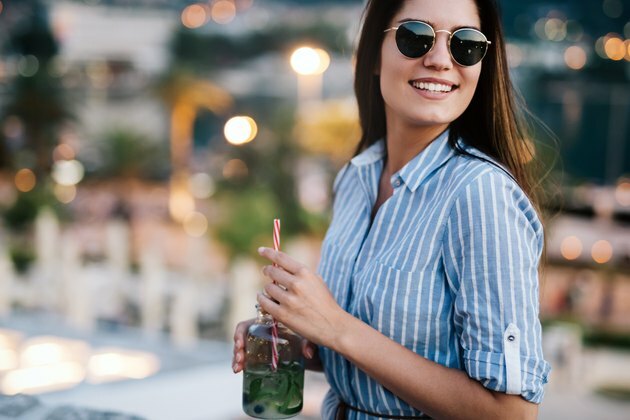 While it may feel like a taboo subject for women, hair thinning (even in younger women) is actually super common, and could be a sign you need to switch things up. If you think you're the only one who's suffering from thinning hair due to stress at work, hormones, or maybe from color damage—trust us, you're not alone. 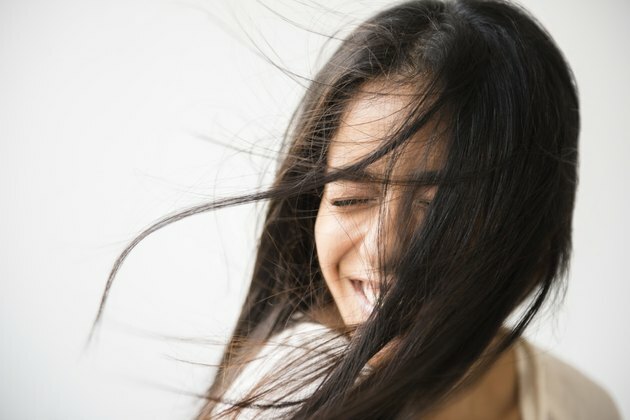 "I think that the biggest misconception about thinning hair among women is a belief that 'I have thin or thinning hair, and there's nothing I can do about it,'" says David Adams, consultant trichologist for —a brand committed to delivering full scalp-to-strand hair care for thin and thinning hair. In fact, Adams says there's definitely something you can do about it, and it all starts with your . "Just like anti-aging skin care, taking care of one's scalp is important to create the foundation needed for healthier and fuller-looking hair," Adams says. With this cause-and-effect relationship between hair and scalp health in mind, Adams got to work. As a Thicker Fuller Hair® consultant, he joined forces with an Ayurvedic chemist (who he touts as one of the best formulators he knows) to identify the key ingredients that could best help support healthy-looking locks. The result of their efforts? A full product line that combines the best qualities of 100 percent vegan ingredients and science: Thicker Fuller Hair® strengthening shampoo that cleanses from scalp to strands, a lightweight conditioner that nourishes without bogging down strands, a root-lifting serum for a fuller look, and a daily scalp tonic that brings nutrients directly to the source. For a deep dive into those science-based benefits (and a handy guide to hair-boosting ingredients), keep reading for the five ingredients to get you started on your path to healthier-looking hair, all of which are found in Thicker Fuller Hair®'s vegan formulas. Nope, quinoa is no longer just a delicious grain for your lunch bowls. "Quinoa works to repair and protect hair strands," Adams says. "If you think about a damaged hair strand like a roof with missing tiles, the proteins in quinoa work to fill in those missing tiles and bind the hair strand." He also notes that you'll start seeing more benefits accumulate after repeated use. Vitamins and minerals such as copper, magnesium, and zinc (which compose the vitamineral boost in Thicker Fuller Hair® formulas), help to rejuvenate the scalp surface, according to Adams. Which, if you think about it, totally makes sense considering we've been told about all the benefits of taking our vitamins since we were kids. "Derived from the African tree, baobab deeply hydrates and protects hair strands," Adams says. It's basically like a face mask for your hair and scalp. Keratin is a huge contributor to your hair's strength and density (it's also found in your skin and nails), and opting for a vegan version gets you silky smooth benefits. "[Vegan keratin] offers the same benefits as animal-derived Keratin, but as a plant-based alternative, it provides deep moisturization and nourishment to hair strands," Adams notes. "Derived from the Indian tree, Neem Leaf is a traditional cure-all in Ayurvedic medicine, rich in antioxidants that help to improve scalp health and increase hair shine and manageability," Adams says. Is there anything better than natural shine and manageability—especially when you're habitually running late for work? Now that you know what to actually look for, keep your eyes peeled for these special ingredients next time you're scoping out the hair care aisle at CVS or Walgreens (or Amazon if online shopping is your thing). Can Any Products Thicken Hair & Stimulate Hair Growth? What Home Remedy Can You Use on a Perm That Is Way Too Curly & Dry?